Agar.IO was the game that started the IO game frenzy! Since it’s release there have been a huge number of games that have taken Agar.IO’s base game play and added new features to enhance the game play. Check out a few of the games that are similar to Agar.IO below! Orn.io is a fun agar.io styled game found online. It can be played directly within your browser without the need to download or register. Simply create a nickname and get started. We mentioned that this game is very similar to agar.io, one of the most famous .io games out there. This is true for the gameplay and graphics, but the key distinction in orn.io is that is 3-D! 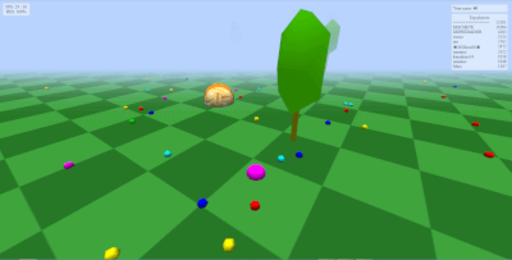 This allows you to look around the map and see your sphere take out the enemies around you! Seriously, we loved agar.io for it’s simplicity and orginality. We are loving orn.io for taking that step further and fleshing out the map. It is really fun! Biome3d.com is a fun agar.io style .io game you find online. You can get started right away by logging in as a guest. However, if you do register with the site, you can track your stats and get additional skins. 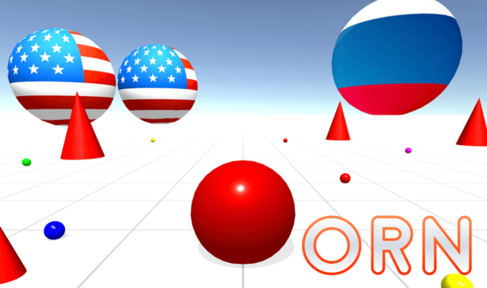 The game is very similar in game play to agar.io, but the key difference is that the surface is 3 dimensional. As such, it creates a unique .io game experience that is unlike most .io games. Interestingly enough, if you hit the up key, it pivots the map and allows you to play in a similar fashion to agar.io. These key difference is that you use the keyboard instead of a mouse in gameplay. In all, if you are a fan of agar.io, you will love biome3d.com! Agma.io is very similar to Agar.io with a few differences. Agma.io offers bots that you can spawn in-game to help you against other players! There’s also an in-game shop where you can find custom skins and power ups to use in-game. Agma.IO features a lot of different game modes as well. If you love Agar.io, then you’re going to love Agma.io! Give it a shot today.